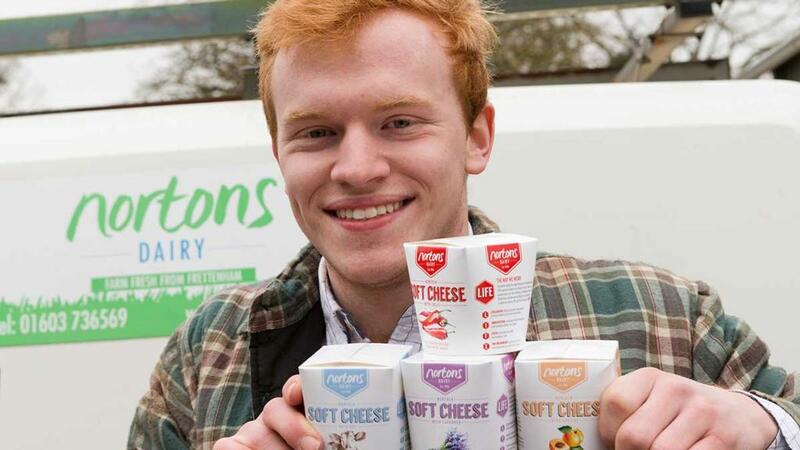 The Norton family have implemented change throughout their dairy farm business, and with 20-year-old Jake joining the unit, ambitious plans look set to continue as Clemmie Gleeson found out. The Norton family has shown its commitment to dairy farming with significant investment and change to their business. Ten years ago they decided to invest in processing milk from its dairy herd in Norfolk and just five years later invested in a milking robot to improve efficiencies. Having secured the farm’s future they are now looking ahead to the next decade and beyond and how they intend to grow and adapt. The family team includes Philip and his nephew David and their respective wives Rona and Ruth. Philip takes responsibility for the arable unit while David is in charge of the dairy herd. Rona and Ruth both have roles in the office and dairy, and Ruth also sometimes works on the farm. Other family members involved in the business include Philip and Rona’s daughter Emily, who is a partner, but has more recently taken a step back to focus on her interests in policy and her current Nuffield scholarship. David and Ruth’s eldest daughter, Teresa, is involved in sales at the farmers’ markets and also in charge of the dairy’s social media accounts. And waiting in the wings David and Ruth’s ambitious 20-year-old son Jake is ready to make his mark. Having completed a foundation degree in agriculture with dairy herd management at Reaseheath and a diploma in agricultural engineering at Easton College, he is currently working with a 500-cow herd in Buckinghamshire to gain experience. But alongside that, he is heavily involved with the family business and will soon return to Frettenham to join the team full-time. The family farms 146 hectares (360 acres) of land, including 28ha (70 acres) of grass which includes good quality and rough grazing. The arable land is in a rotation of sugar beet, cereals and maize, the latter of which is used to feed the cows and a local anaerobic digestion plant. The family previously milked Holstein Friesians before switching to Brown Swiss, as Jake explains. “We had some problems with the Friesians and decided to look at other breeds. We looked at Norwegian Reds and Swedish Reds before deciding on Brown Swiss. Around the same time in 2010 the Nortons invested in a 225 milking robot and they found the breed also worked well with this so, within a few years, committed to slowly become a Brown Swiss herd. “Investing in the robot was a big jump into the unknown, but one that has proven a good decision,” says Jake. The family have a proactive approach to herd health, with regular routine visits from local vet Tom Hume as part of a Dairy Club. This means any minor worries can be checked out before they become a problem. Milk yields have also improved since the introduction of the robot, although as breeds were changed at the same time it is difficult to quantify this. Average yield is currently 9,400 litres per cow per year at 4.1 per cent butterfat and 3.35 per cent protein, with all females in the herd homebred. The cows are housed together in a straw bedded barn over winter, but are turned out as soon as conditions allow. The supplement is given to the highest yielding cows to prevent metabolic problems in early lactation. “It’s like an energy drink for cows,” Jake adds. When the cows are outside they are offered fresh grass every eight hours and the cows have learned the system that enables them to move on to the fresh grazing only once they have visited the robot for milking. This system took the family a couple of years to completely perfect, Jake says. “We tried a 12-hour split, but we found some of the animals got quite lazy and left it too long before coming back to the robot,” he adds. “With an eight-hour split they definitely will get milked twice a day and there is always fresh grass for the cows. The cows always have access to the robot. Last year the family celebrated 10 years of their own processing plant which they built to enable them to pasteurise some of the milk and sell direct to customer. “It started with milk and cream. Then we started making butter and cheese and more recently a natural pouring yoghurt,” says Jake. They now have around 25 local wholesale customers, their own doorstep round with 50 customers and supply an independent milkman with 1,000 litres a week, explains Ruth. They also sell their products at several local farmers’ markets and supply a distributor. During the recent snow, when local stores were struggling to keep stocked, the Nortons made their milk deliveries by tractor. While the yoghurt and cheese produce the most return, liquid milk offers the volume the business also needs. “For some people milk is milk – a commodity – so we can distinguish ourselves more with the cheese and yoghurt products,” says Jake. The family’s soft cheese has several flavour options, including lavender which was awarded ‘Best Flavour Added’ cheese at the British Cheese Awards in 2017, where they also achieved bronze for their natural pouring yoghurt. “We enter the competitions as a family and it is really nice to be recognised and get that validation,” says Jake. 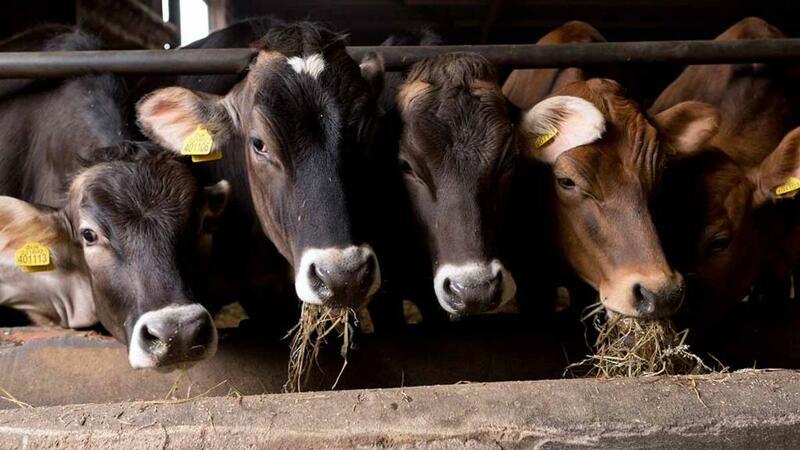 Around a third of the herd’s milk goes through Nortons Dairy and the remainder is sold to Arla. The balance works well for the Norton family. The uncertainty of life beyond Brexit makes that even more important, he says. “As a smaller herd we are particularly vulnerable to the volatility of the milk price.We will grow in the future, which will make things more efficient in the long run. Growth of the business is the long-term plan. “We are up to the maximum number the robot can milk, so we would need a new building to expand the herd and a second robot,” adds Jake.